As we continue our series on miracles, we're digging deeper into the how and why miracles happen in our world today. To be honest, sometimes it is hard to believe the sensationalized news stories about weeping statues and medical mysteries because, even as Christians, we've been taught to question the supernatural. After all, there must be scientific evidence or some other rational reason why things happen to people. Rather than try to sway you with our own arguments, we found three books (and incredible stories) that will restore your faith in miracles, God, and the impossible. In his book, Miracles, C.S. Lewis wrote that “seeing is not believing” and that defines a miracle as an interference with Nature by supernatural power. As such, Christians must not only accept but rejoice in miracles as a testimony of the unique personal involvement of God in his creation. If you have trouble reconciling your belief in miracles with modern-day thinking and science, then this book is for you. 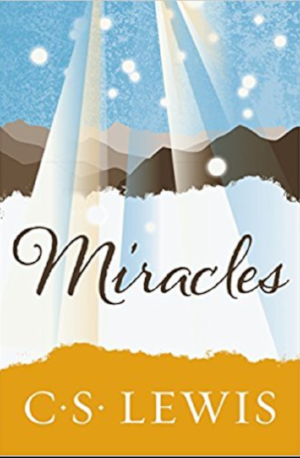 Lewis discusses the natural versus the supernatural view of Bible miracles and why “Christianity is the only religion that depends, for its overall coherence, on the authenticity of miracles.” Think of this book as your introductory guide to miracles with a study guide from the C.S. Lewis Foundation here. Imagine that your son fell through a lake on a one winter morning and after taking him to the hospital, he died. That is what happened to Joyce Smith when her 14-year-old son John suffered a tragic accident. She was hurt and angry with God but she refused to give up on her son. She cried out to God to save her son and, miraculously, John’s heart started beating, again after 45 minutes. When Annabel Beam fell three stories headfirst into an old, hollowed-out tree after playing outside with her sisters, she wasn’t expected to live. But Annabel didn’t just live, she was healed from a rare and incurable digestive disorder after visiting heaven while she was unconscious inside the tree. Her story became the basis for the memoir Miracles from Heaven, written by Annabel’s mother, Christy Beam. The book was later adapted into a major motion picture starring Jennifer Garner and Queen Latifah and directed by Devon Franklin. This Christmas, inspire someone else to believe again by sharing these stories, and books, with them.